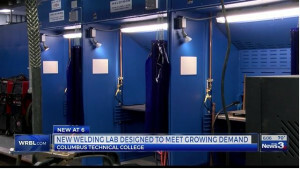 Air Purification recently installed 36 self contained welding stations in a state of the art technical college in Columbus, Georgia. The instructor has raved about the cleanliness of the air in the laboratory. The school is able to recycle the existing shop air and the payback in savings from heat and air conditioning will be substantial. Click on the image above to see a video of the results!